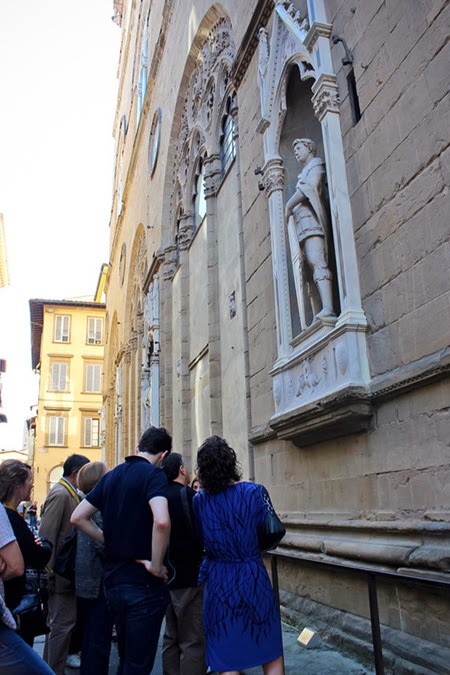 I had the best plan, take Artviva’s Original Florence Walk on my first day to get to know the city I’ll be staying at for the next 4 days. 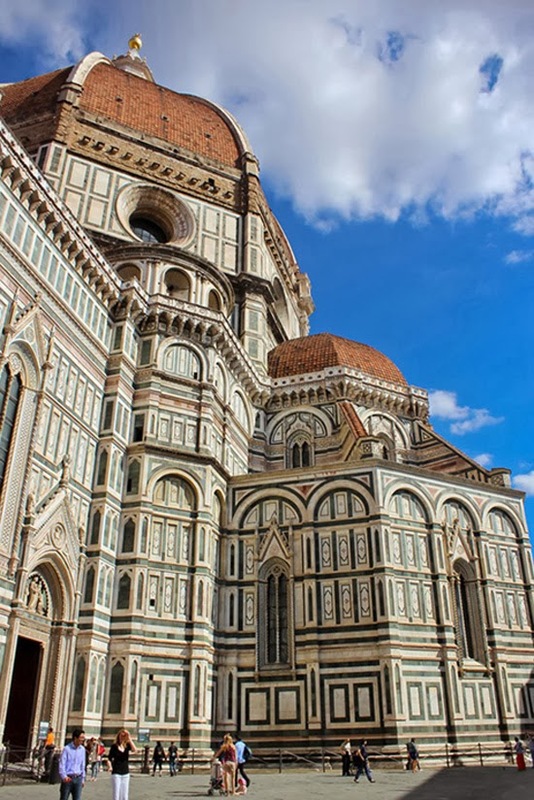 The tour covers the significant and famous sights in Florence plus a few tips on where to shop and eat. 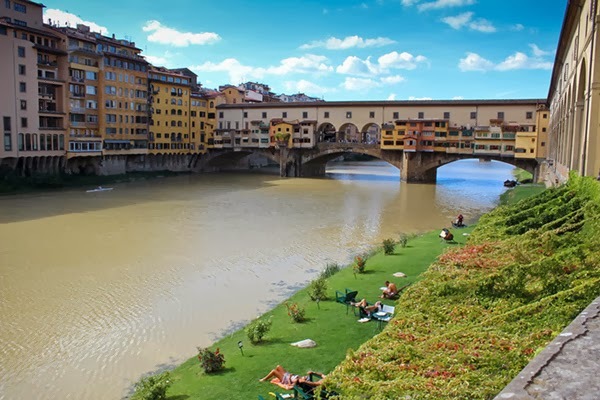 My beautiful plan was shelved because of problems with my accommodations in Florence. 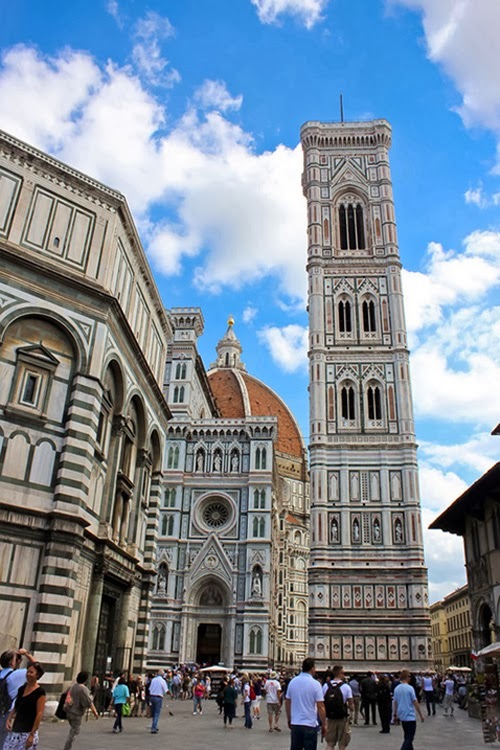 I could only reschedule the tour on my last full day in Florence because I allotted day 2 to the Walkabout Tuscany Tour. Thankfully, the Artviva team agreed to the reschedule. 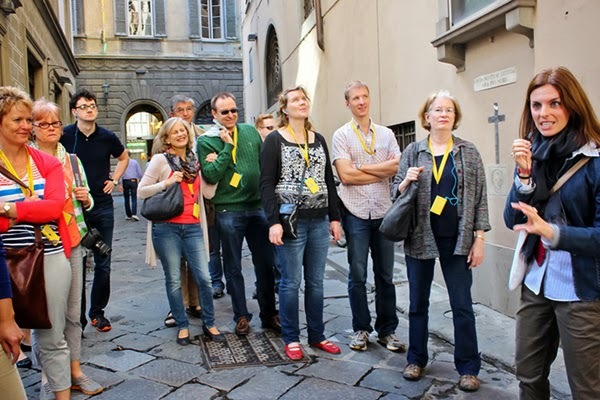 The tour group met at the Artviva HQ and was given our own headsets by Teresa -our guide. 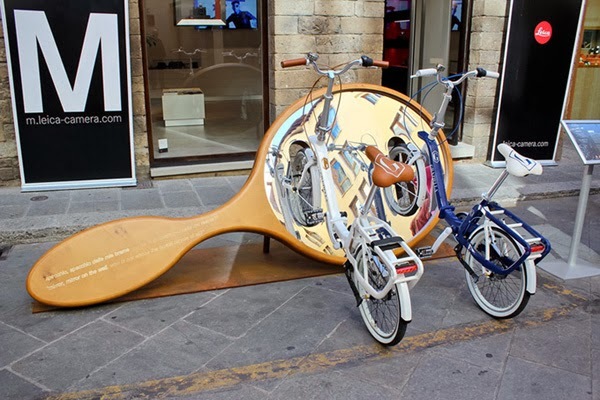 I wish we had these in tours in Manila! Are you ready for more history and art? 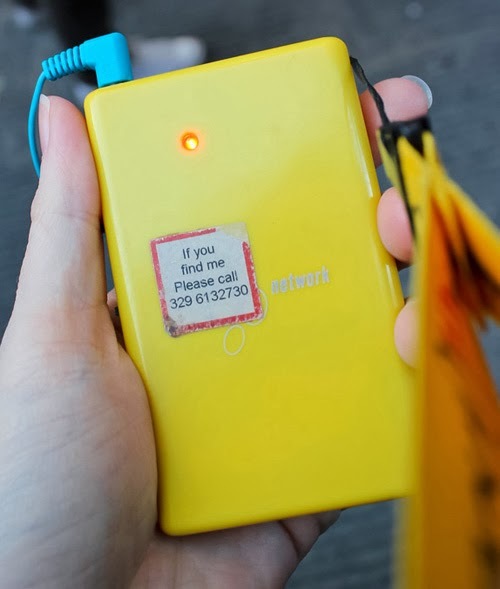 Walk with us. 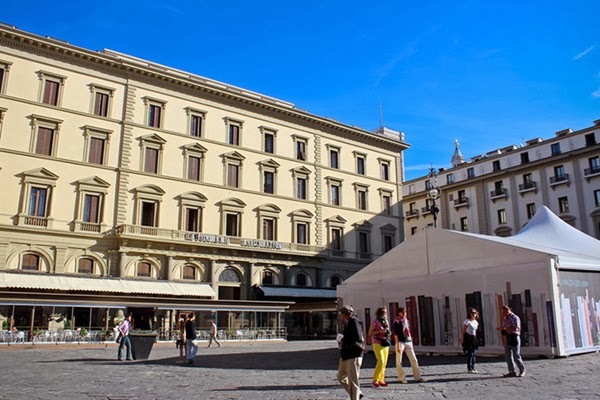 This is the Piazza de Republika. 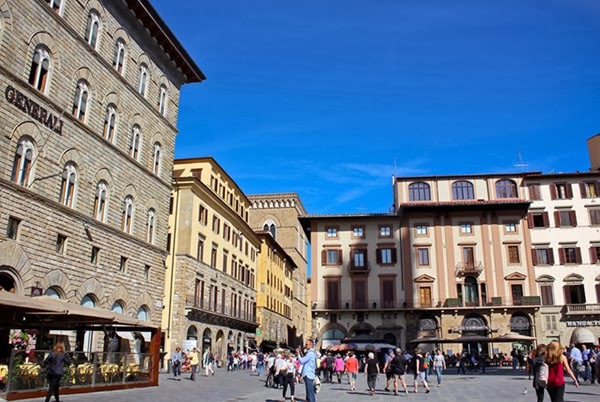 It is the oldest and newest Piazza in Florence. Whut?? 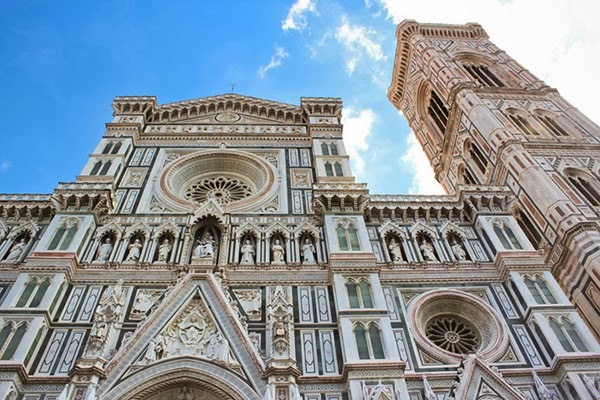 It was built in 1865 when Florence was declared the capital of Italy. 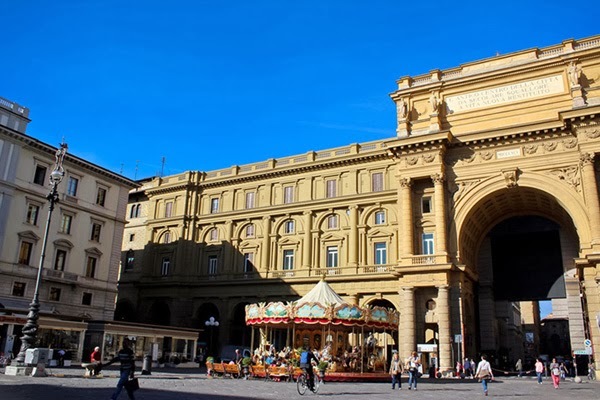 It is also the newest Piazza because it sustained damage and deterioration which led to its restoration. In the 2 photos above, you can only see one side of the Piazza. I adore how the sun lit the Piazza de Republika in the morning; thank god the sun came out! I don’t remember the name of this building. Haha Anyway, why is it significant? 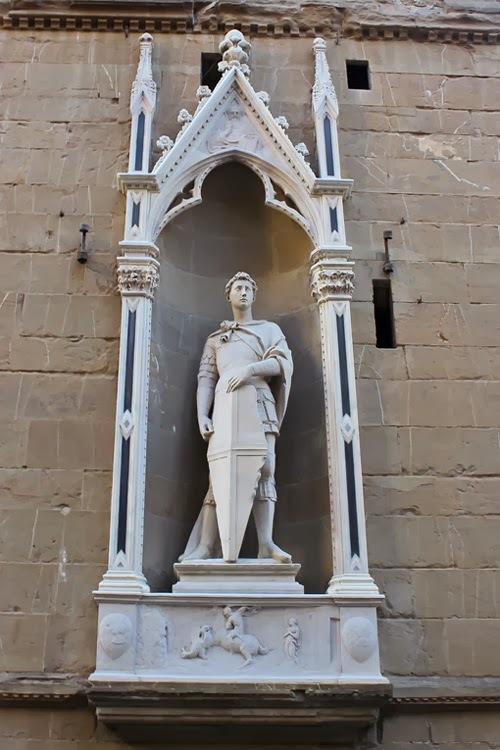 The sculptures that surround it were made by Donatello. The sculptures showcased the use of linear perspective on sculptures for the first time. All these sculptures tell a story. This particular one was about that guy (yes I also forgot his name) who fought in battle. You see the fight scene below his statue. 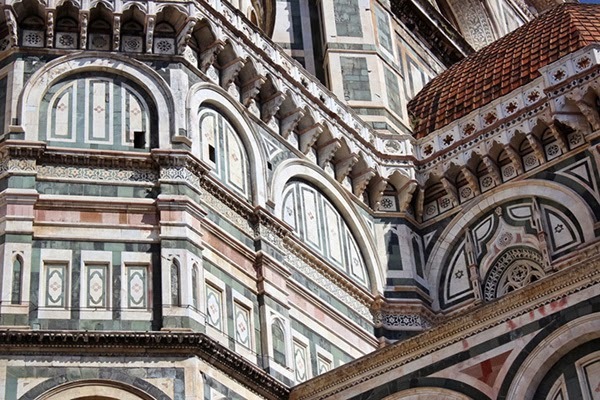 As mentioned in Rome, it was practice in Italy to put history in art form for all to see. 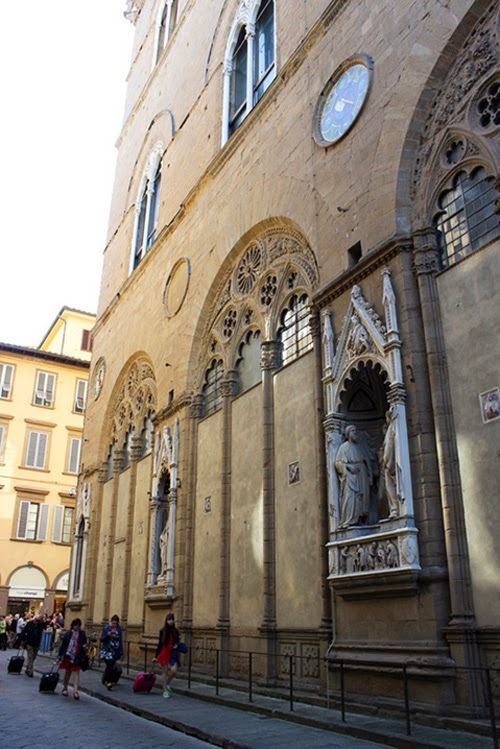 The sculptures you see are replicas; the original versions are kept in a museum. 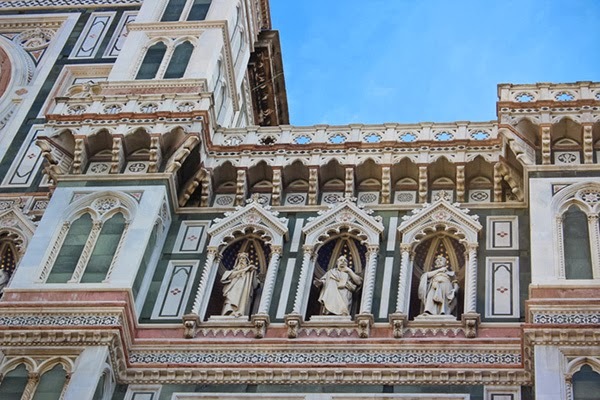 Just like other parts of Italy, Florence is blessed with beautiful buildings everywhere. 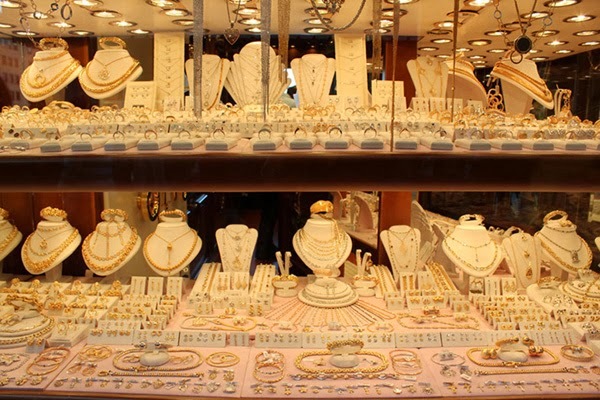 Rich families would use their houses as a symbol of power and wealth – a practice done until today. Many of the establishments, stores and even offices are housed in former residences. 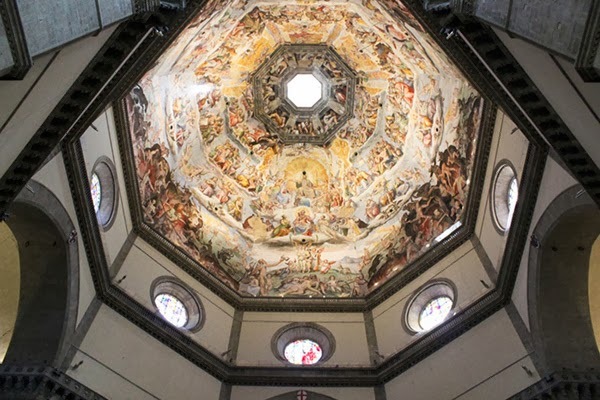 The Strozzi family was one of the affluent families in Florence rivaling the powerful Medicis. The palace was the home of the Strozzis for centuries. Currently, it still belongs to the family but is used as a library and for exhibitions. 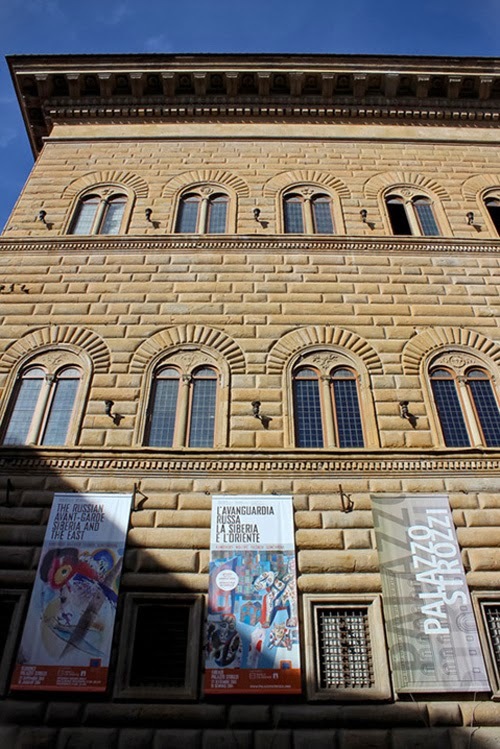 The Palazzo Strozzi is the best preserved Renaissance palace. 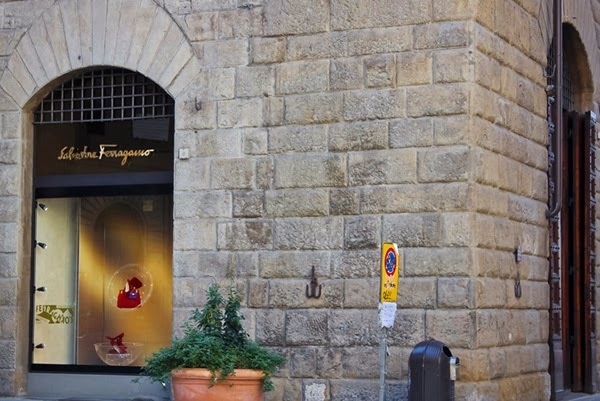 That’s the Ferregamo museum. I didn’t have time to check it out, besides taking of photos aren’t allowed inside. For true blue fashion devotees, a visit here is mandatory. The annual bike race finished recently thus the paraphernalia. 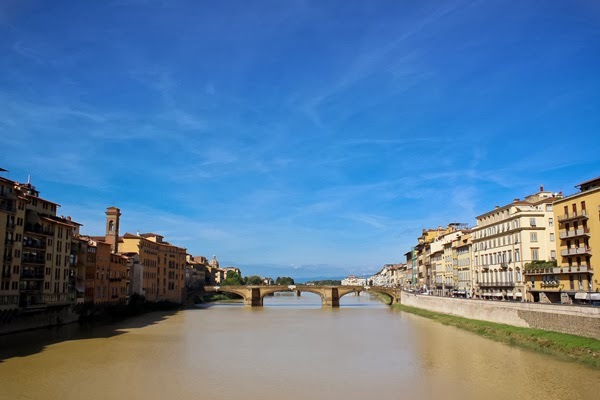 The Pointe Vecchio or Old Bridge is a prominent landmark in Florence. Visually, it is the bridge with buildings on top of it so you can spot it easily. When I was taking this photo of the bridge, I was surprised by the sunbathers below. 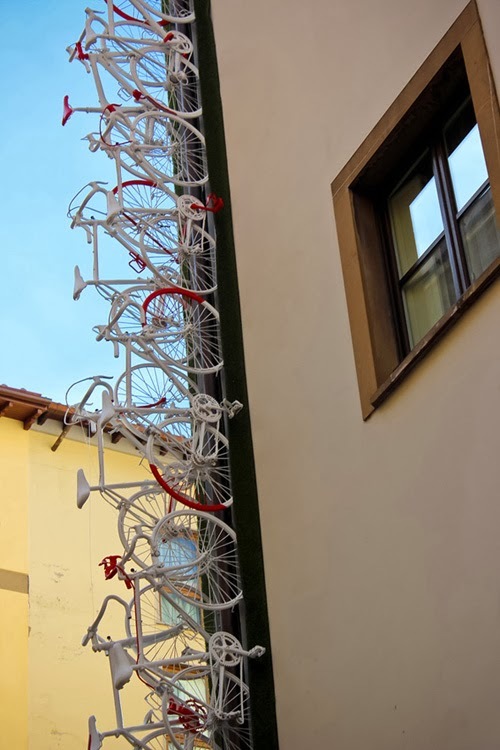 With Florence’s cold weather in October, this is a brilliant idea. 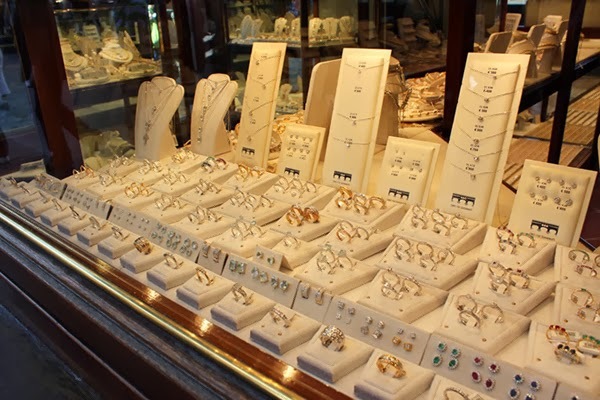 Apparently, men fear The Pointe Vecchio and it is a big hit with the ladies because it is filled with wait for it….jewelry shops. 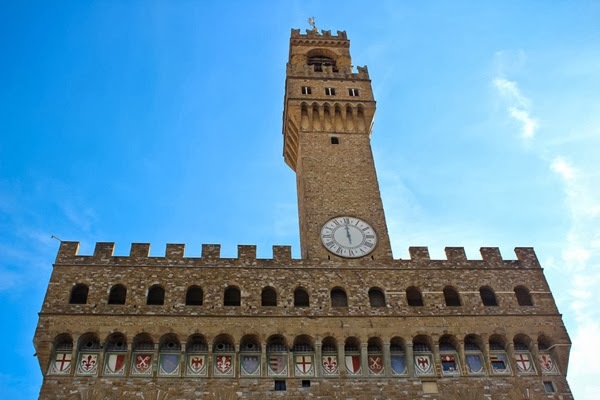 We briefly stopped in the Palazzo Vecchio for a break. 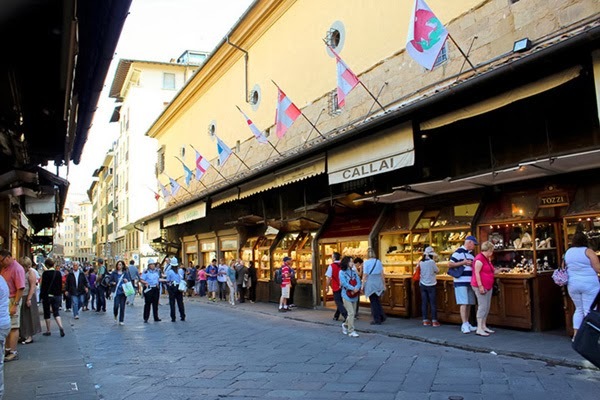 The palazzo is surrounded by restaurants, the Piazza della Signoria and the Loggia dei Lanzi. 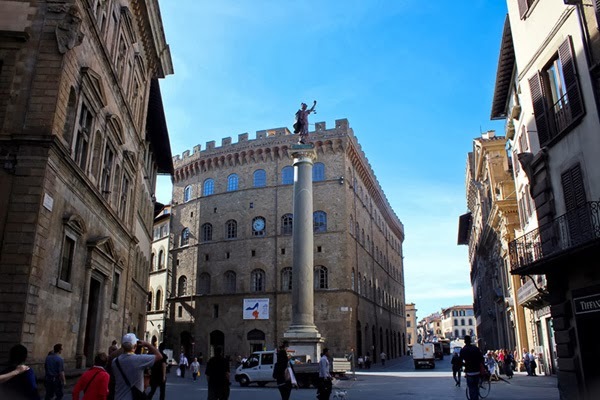 The Piazza della Signoria reminded me of the tower in Siena. 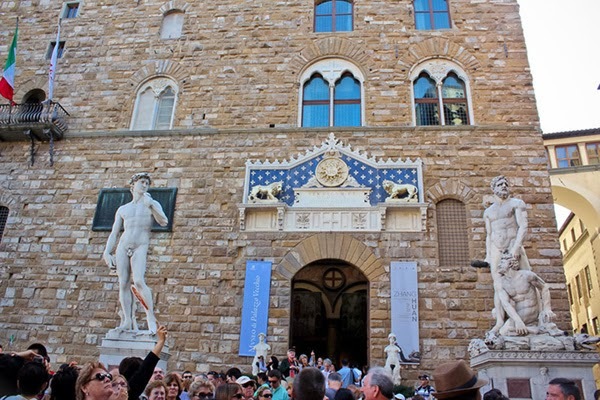 You will see the replica of Michaelangelo’s David and Baccio Bandinelli's Hercules and Cacus in the entrance. 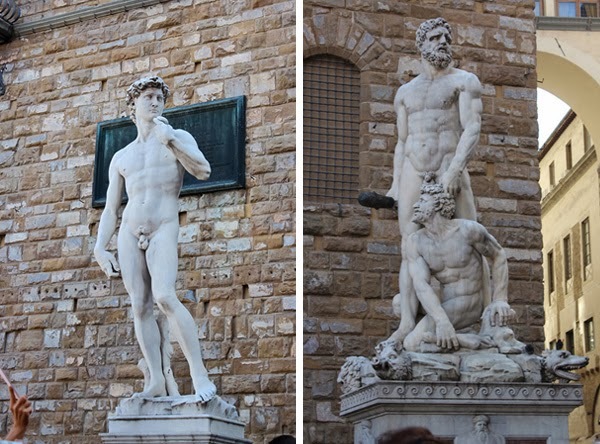 Teresa mentioned that Michaelangelo was unhappy with having Bandinelli’s sculpture next to his David. David was sculpted so beautifully and refined while Bandinelli’s work was the opposite. If you’d like to see the original version of the David, make a trip to the Academia Gallery. 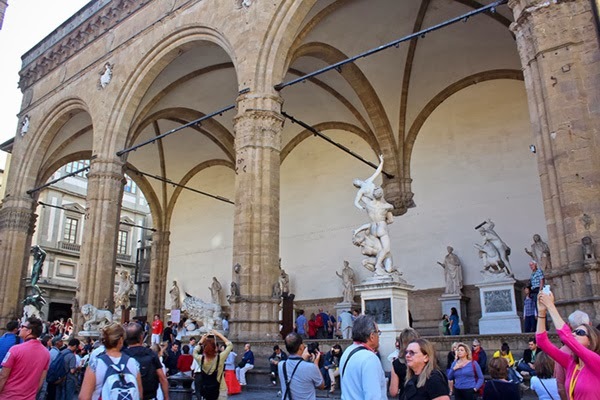 Off to the side of the Piazza della Signoria is the Loggia dei Lanzi – a gallery of statues. This space is FREE to the public. 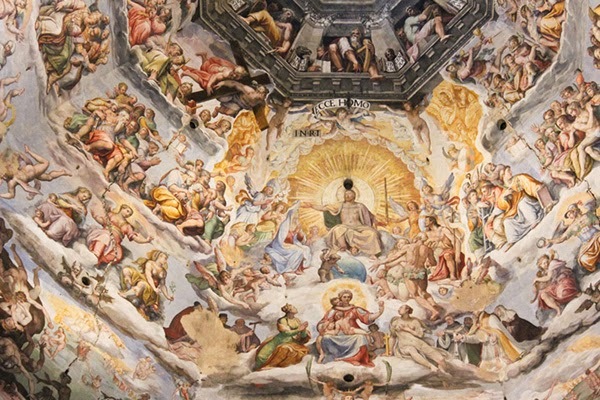 Can you imagine having magnificent works of art around you all the time? Don’t EVER expect to take a proper photo of this space; it is always littered with people. 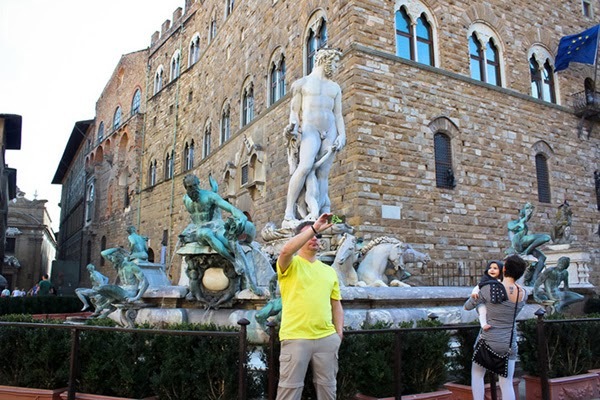 I was trying to get a photo of the fountain of Neptune when this man stepped into my frame and stopped. I was patiently waiting for him to move but my group left already so I had to follow them. 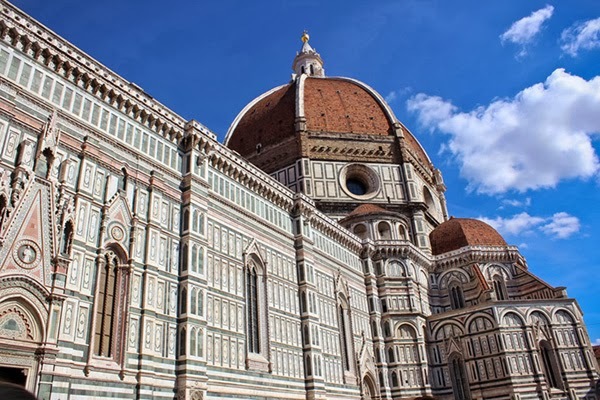 Last stop for the tour was the grand Duomo di Firenze also known as the “Basilica di Santa Maria del Fiore” and “Florence Cathedral”. It seriously took my breath away. 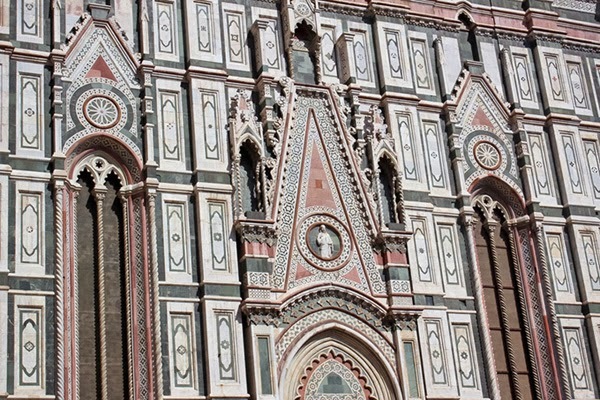 Visually, it had similarities to Duomo of Siena but it was more massive. This was taken from the right side of the cathedral; can you see how tiny the people are compared to the cathedral? Again, insane details of the exteriors. 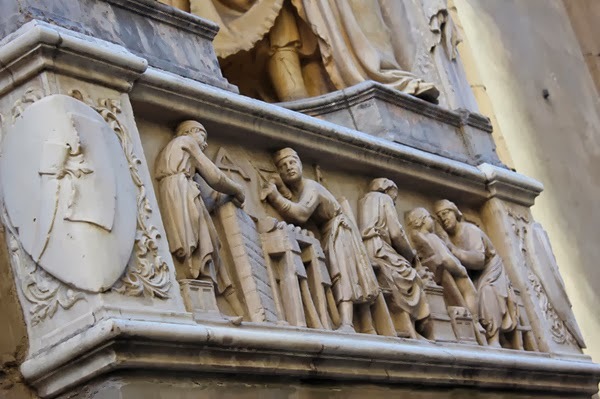 During my visit, restoration was being done to other portions of the cathedral. The inside is equally as impressive. 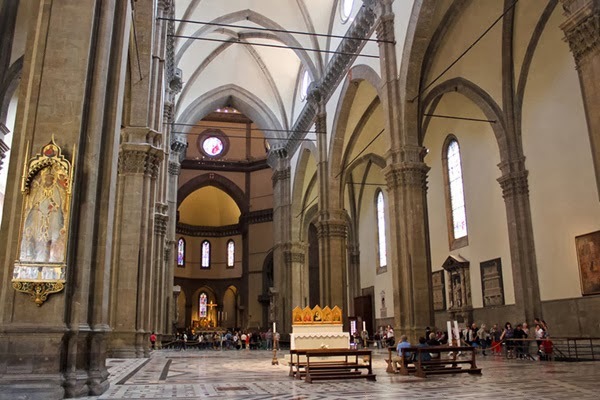 Can you imagine hearing mass in a cathedral as enormous as this? Wow! After the tour, I walked around the periphery of the cathedral to gawk at it more. I love how our tour guide Teresa explained everything with finesse. She spoke in a manner that was understood by everyone even if you’re not an art or architecture fan. When she discussed technical terms, she expounded on that with ease. 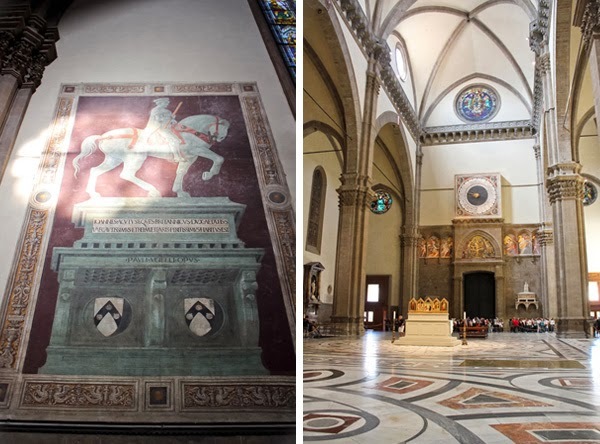 The Original Florence Walk is a definite must for art, history and architecture fans. I learned so much about architecture because of the buildings I saw. I had a deeper appreciation of the aesthetics I saw because besides being stunning, they served a practical purpose. It was a morning well spent; I told you I love learning. It was amazing to be surrounded by such beauty in this Unesco World Heritage Site. 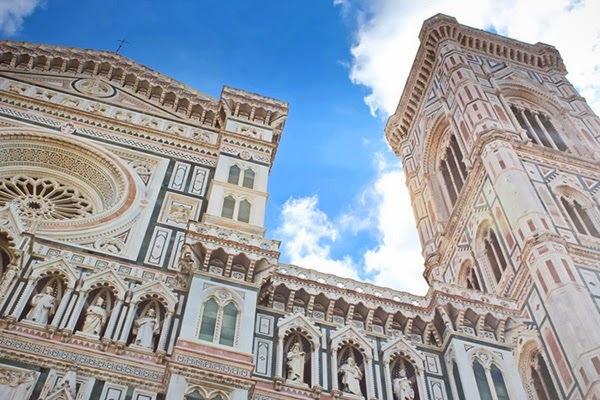 The Original Florence Walk will take up half of your day. 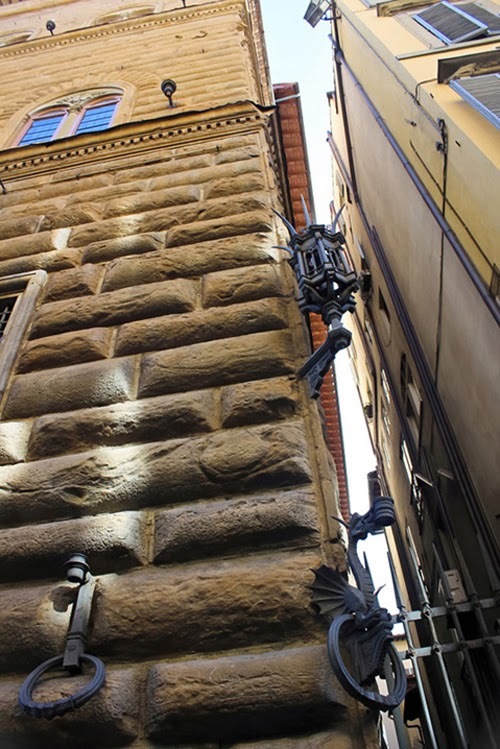 Do visit the Artviva website for other tours in Italy. 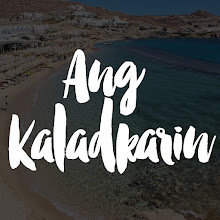 As a special treat, Ang Kaladkarin readers will get a 10% from Artviva. 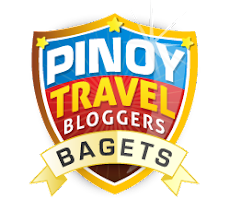 Just make sure to mention that you read about the tour from the blog. Thanks again Artviva! 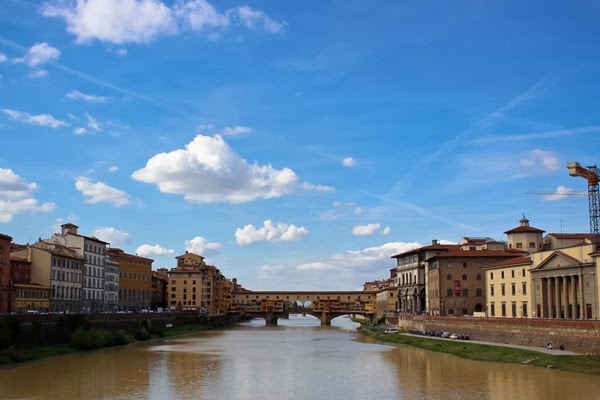 Need hotel options in Florence? Here are my suggestions.